How do I speed up the composting process? How do I speed up my compost? 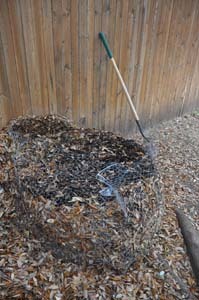 I mentioned in an earlier blog post about composting that, at my house, a compost pile hangs around for six to nine months before it has broken down enough to use it in a garden bed. 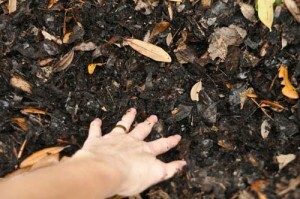 What can you do to speed up the composting process? How can you get access to that fabulous compost as soon as possible? Once again, there are three keys to compost success. 1) Make the pieces smaller. Smaller pieces decompose faster. If you want compost faster, grind up what you use in your compost. Don’t put big chunks in. 2) Get more air into it. Composting is an aerobic process. For it to happen requires oxygen. The more you aerate your compost, the faster it will break down. So, turn it or whatever, but keep air in all parts of it. 3) Add nitrogen when it cools off. After you initially create your pile, if you’ve put a good amount of nitrogen in, it will heat up. Over time it will cool off again. If you can turn the pile while layering in some more high nitrogren, the pile will heat up again and the decomposition process will rage on. 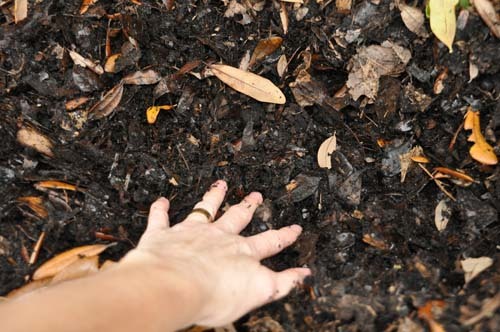 After you have the three composting basics in mind, now you just need to put it together. Decide where you’ll put it. It’s likely that your compost pile will be a part of your life for a while. At my house it takes six to nine months for compost to happen. Maybe there are some super compost ninjas around that get theirs broken down more quickly, but that isn’t how it goes for me. (Here are some tips for making your compost break down faster.) It is important to put the compost somewhere that you can live with it for that long. At my house, I have a Golden Retriever whom I love very much. I love her despite the incredibly annoying love she has for spreading my greens and browns all over the yard if she can get to them. Because of this habit, it is important for me to enclose my ingredients as well as my working compost. While you can certainly buy beautiful and costly compost containers, I just use chicken wire. I just buy a roll at Home Depot or Lowes and unroll a good amount (a compost pile needs to be at least three feet thick and three feet high). I fasten the ends together with cable ties. There are probably more poetic ways to do that but I have lots of cable ties, it’s easy and I don’t have to use any tools. If you don’t have any critters that will make a mess of your pile, you can just pile it up. You may not like the look of a pile in anywhere in your yard. If you look around, you’ll find lots of beautiful, fancy and expensive ways to contain your compost. What you do completely depends on how much money you have and how you want to spend it. As for me, if I can find a low priced way to accomplish something, that’s what I’m going to do. Once you have your place, start layering your greens and browns. Three parts brown to one part green. Be sure to keep your hose nearby so that you can add moisture too. Keep mixing it up really well as you put it together. Once you have your pile all put together, you mostly wait. In a couple of days you should start to feel the pile heat up when you stick your hand down into it. If you want to, you can use a thermometer to check the temperature of your pile. You can use any thermometer with a probe, although they do make specific compost thermometers with a really long probe so that you can easily get into the middle of your pile more easily. Thinking of beginning composting? It’s pretty simple. You really only need to know three things. 1) Your greens and browns. 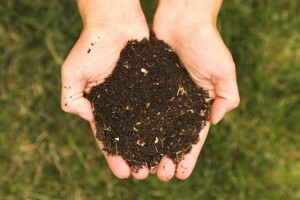 To have compost, you must start with the greens and browns. Greens are materials that are high in nitrogen, like grass clippings. Browns are things that are high in carbon, like dead leaves. You’ll need a ratio of about 3 parts carbon materials to 1 part nitrogen materials. You don’t need to go crazy measuring things either. 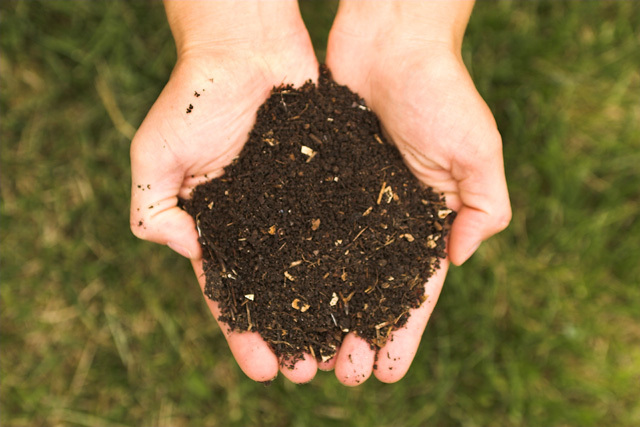 If you have too much nitrogen in your compost, your pile will stink and you can add carbon. If you have too much carbon in that compost pile, it won’t heat up and you can add nitrogen. 2) Oxygen. Compost needs oxygen. Even the middle of your pile needs oxygen. You can accomplish this in one of several ways. You can utilize a compost tumbler that allows you to easily turn the compost. You can drill holes in a PVC pipe and keep it in the middle of your pile to allow for air flow. You can get out there on the weekends and use a shovel and turn your compost. My favorite tool is this Yard Butler CA-36 Compost Aerator. This is what I use to stir up my piles. 3) Moisture. Your pile needs to be as moist as a wrung out sponge. If it is too wet, or too dry it will slow down your progess. We don’t want to slow our process..right? So you’ve put together your greens, your browns, and you have a plan for keeping air circulation going and moisture. What now? Stay tuned. We’ll go over that next. I made this composting video last year while I was working with my very first compost pile. I’ve improved my technique. I’ll write more tomorrow about composting. Recently I read the book, “Cheap – The High Cost of Discount Culture“. In it, the author explains how the trend in our society for ever increasing quantities of ever cheaper goods is ruining us.I encourage you to pick it up and read it if you haven’t. Some say it’s a hard book to get into, and I agree that there were certainly dry parts, but I found it fascinating. Basically, there is no free lunch. That cheap stuff you buy in Walmart costs our society more than is reflected on that price tag. In my real life, I own a travel agency along with my husband. One of the challenges we occasionally run up against is where people get our advice, then use it to go online to some bottom feeder discount site that offers to personal service whatsoever to book their trip at a small discount. It isn’t only travel agents either. The article explains how Target is tired of being used. A growing trend with consumers is to go to a local store to look at items, then going online to order them at a discounted price. In fact, in the Amazon app on smartphones there is a bar code scanner that makes this comparison quick and easy. The thing is, Amazon doesn’t have the cost of operating that store there in your neighborhood and employing those people who keep the shelves stocked and the store running. Taking advantage of local merchants is easy, but is it really in our collective long term best interest? Taken to the extreme example, if everyone did that the local businesses would cease to exist. Think about a world where local business don’t exist. No help, no jobs, empty real estate. Is that really what you want? This new awareness was severely tested when I asked for a wheelbarrow for my birthday. My husband would know nothing about wheelbarrows, so I told him that the people at Northaven Gardens would be able to advise him. Northaven is our local organic gardening shop. I want there to be a place like Northaven. I want to be able to go there and browse and talk to people who know organic gardening. As it turned out, there was a small problem with the wheelbarrow he brought home. Not a big deal, and stuff happens, but I had to exchange it. So, I loaded up in the van and drove down there. They were friendly and gracious and quick to help. They even helped me unload the wheelbarrow and everything. The problem was that they weren’t sure they had another one in stock. So, I immediately got on Amazon.com to see if I could just order one. I am an Amazon Prime member so I get two day free shipping on every order. So, whenever possible I support local business. I support local organic farms. 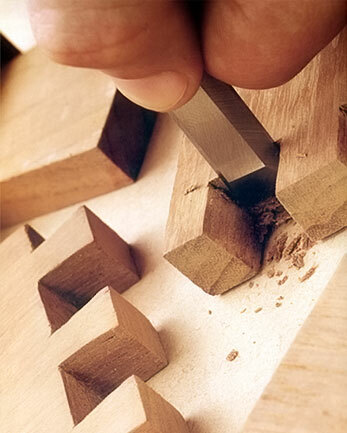 I support craftsmanship.